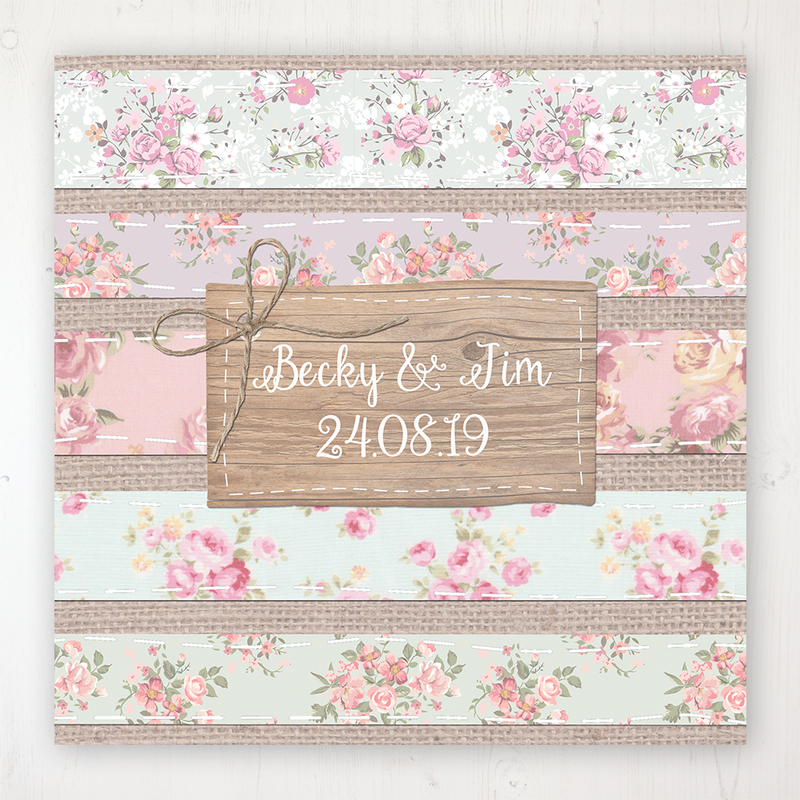 Wedding invitation sample pack including an RSVP, info card, string and tag, envelope and label in the Floral Furrows Collection design. 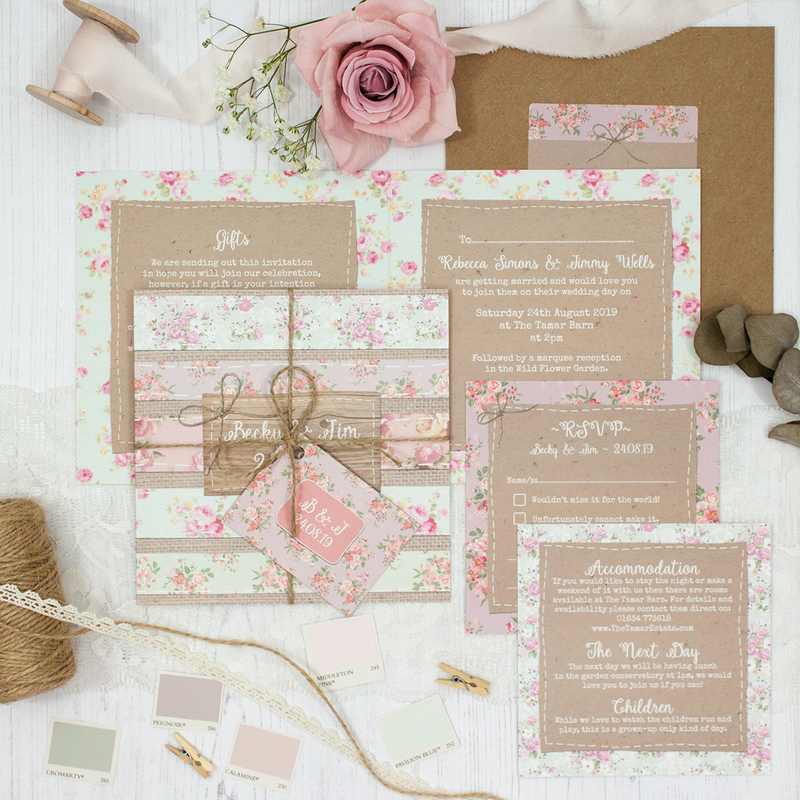 Inspired by row after row of pretty pastel blooms lined up in the cut flower gardens of the countryside. A touch of rustic with hessian and wood details, embellished with a quirky stitched trim detail.